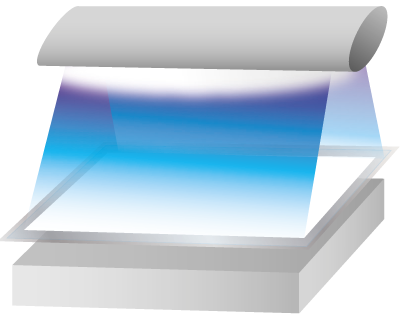 One side of the base film has a UV light sensitive layer, with the opposite side having a white-colored layer. 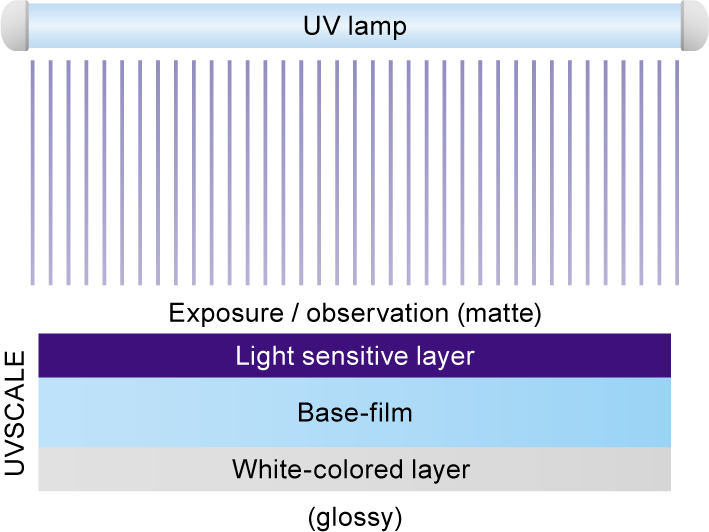 The light sensitive layer changes color according to the amount of UV light it receives so the amount of light distributed on the exposed surface is easily seen by observing a light senstive layer and white-colored layer are attached to the base. 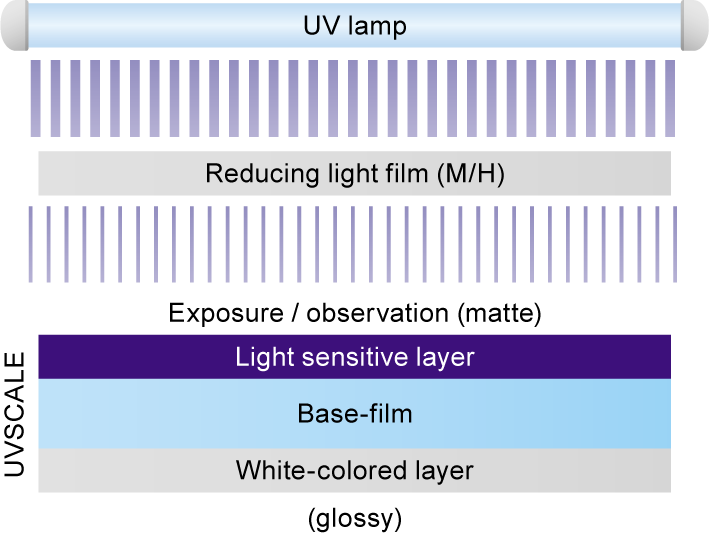 Since the color density of the white-colored layer corresponds to the amount of UV light received the light amount distribution on the light receiving surface can easily be investigated. The color forming material in the microcapsules reacts to the UV light and changes color. 1. After cutting UVSCALE to the required shape (length), place it on the location that you want to measure. 2. Operate the equipment or device, and expose UVSCALE to UV light. *The side of UVSCALE with matt surface should be exposed. 3. The UVSCALE changes color in accordance with the amout of light. 4. After cutting UVSCALE to the required shape (length), place it on the location that you want to measure. For low levels of light, UVSCALE can be used alone. 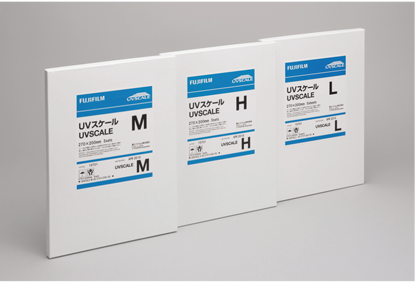 For medium to high levels light, use UVSCALE M or H. These are two sheet types, where a reducing light film is placed over UVSCALE. The following are color characteristics generated by a high-pressure mercury lamp. However, please note that these color characteristics are values generated by using FUJIFILM light source and devices, so there may be difference in color density for a given amount of light due to difference and variations in individual lamps or envirnoment. 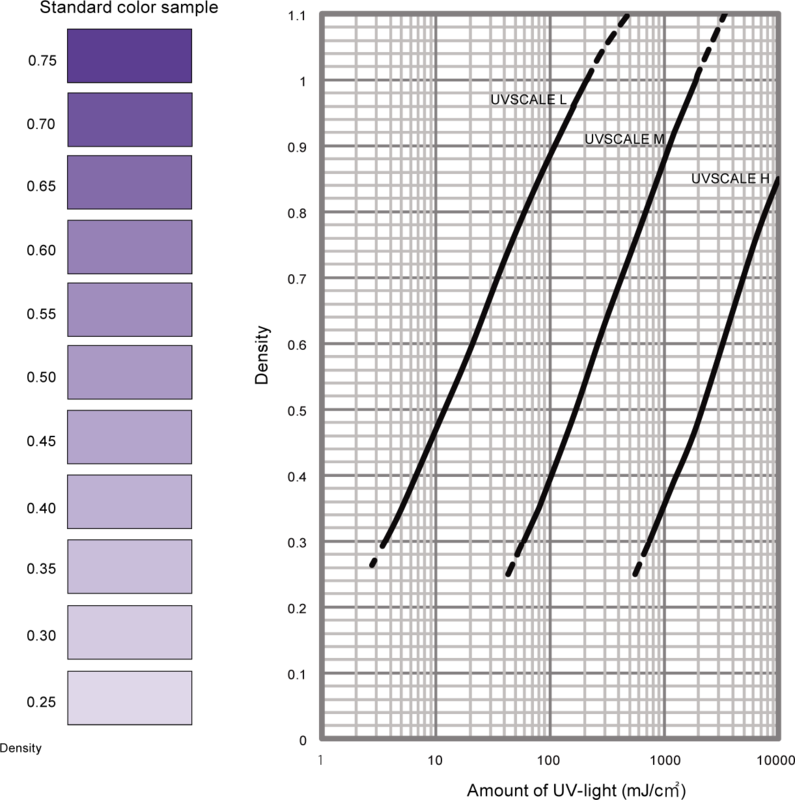 Each density is the value measured by FUJIFILM. It is not a warranty of density level. The amounts of UV-light are values using a 365nm UV illuminometer. The solid lines on the graph show the recommended measurement range. The broken lines represent values that are not as precise as the solid lines and should be used as a refernce only. 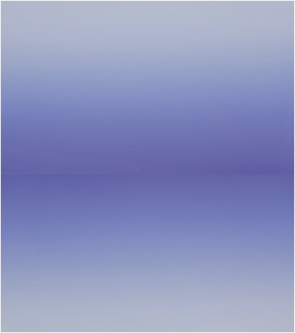 Standard Color Samples show the density range for visual evaluation. - An illuminometer requires measurements at a large number of points. 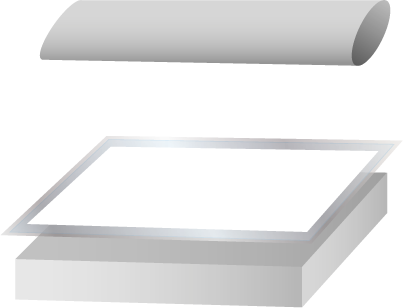 - It is not possible to check whether the UV light extends right to the edge of the conveyor belt. - Cannot check for unevenness of UV exposure caused by multiple point light sources. Unevenness of UV exposure and decreases in the amount of light can be checked by observing the intensity of the color. 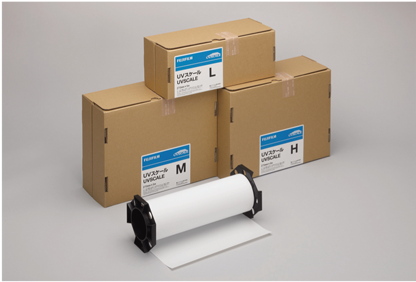 Allows the height and position of UV lamps to be adjusted when equipment is installed. Allows checking of the time for replacing lamps. By observing the intensity of color, allows checking of whether the whole surface between pannel is suitably exposed to uv light. - Illuminometer cannot measure UV exposure coverage of diagonal rays. - The extent and strength of UV exposure is not known. 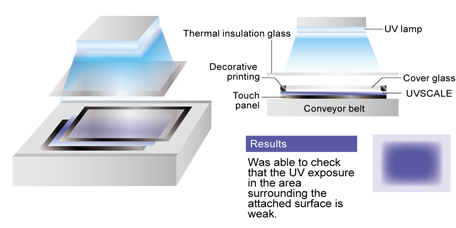 - Measurements cannot be performed on curved surfaces. Since decreases in the amount of UV light can be identified from the intensity of color, the presence of dirt on the lamp and the period for lamp replacement can be determined. - Measurements cannot be taken of moving objects. - It is difficult to measure the amount of light inside the drink cartons. Coverage and strength of exposure can be determined from the intensity of color. *Please note that the specifications and performance stated in this catalog may change without prior notice as a result of improvements. The diagrams used are schematic, and differ from those for actual measurements.